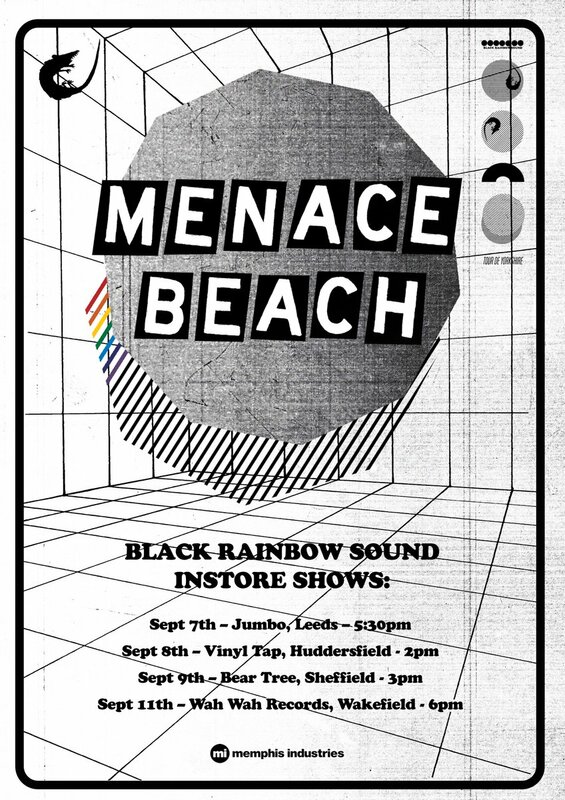 We're excited to announce we will be going on an instore tour around Yorkshire's most iconic record stores, playing special versions of songs on 'Black Rainbow Sound'. We are super excited to announce that our third album ‘Black Rainbow Sound’ will be released on Memphis Industries on 7th September 2018! Pre-order the record on all formats HERE including a super-limited edition run of signed 12" LP's on silver foil card stock, hand screen printed by Ryan plus signed white vinyl. Select indie stores will also have limited edition screen prints. Preorder from Rough Trade , Resident and Jumbo. We have also announced a run of live shows around the UK in the Autumn. Tickets are on sale now, right HERE. There will be more dates announced over the coming weeks. We can’t wait to get in some rooms with you and play this new record loud.